We have been working hard on a new collection of seven crochet patterns with Malabrigo’s Freelance Pattern Project. After months of prep work, getting as much done as we could while in separate states, my Mom and Monika flew from Minneapolis to Casper. Nana spent a week with my kids while Monika and I worked on putting the collection together. Abigail’s editing skills kicked into high gear as emails and drafts flew between us while we were still in separate states. This project was the perfect challenge for The Firefly Hook team, and we are so excited to finally share it with you! Favorite or queue patterns from the entire collection here on Ravelry. 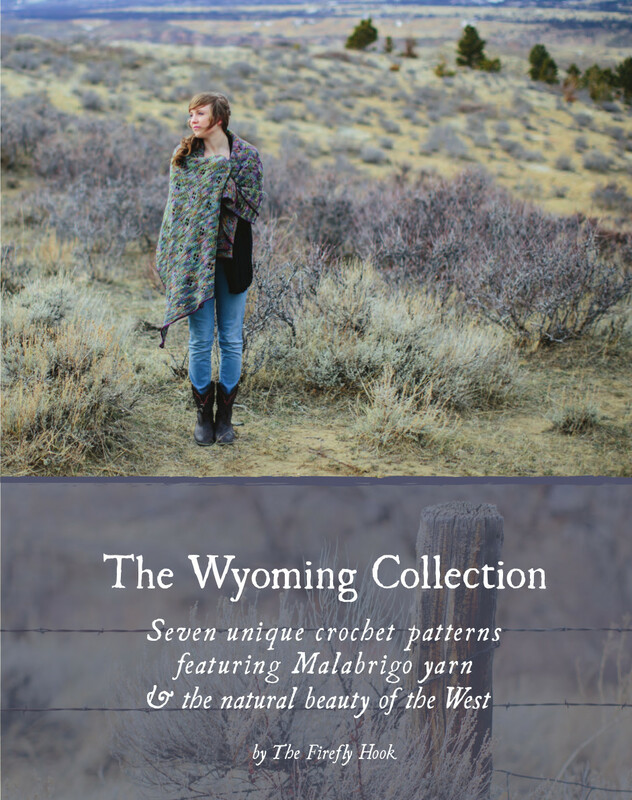 The Wyoming landscape is the inspiration for this collection. The ideas for projects were endless, but we chose seven, and I’d like to share the personal connection I have with each one. 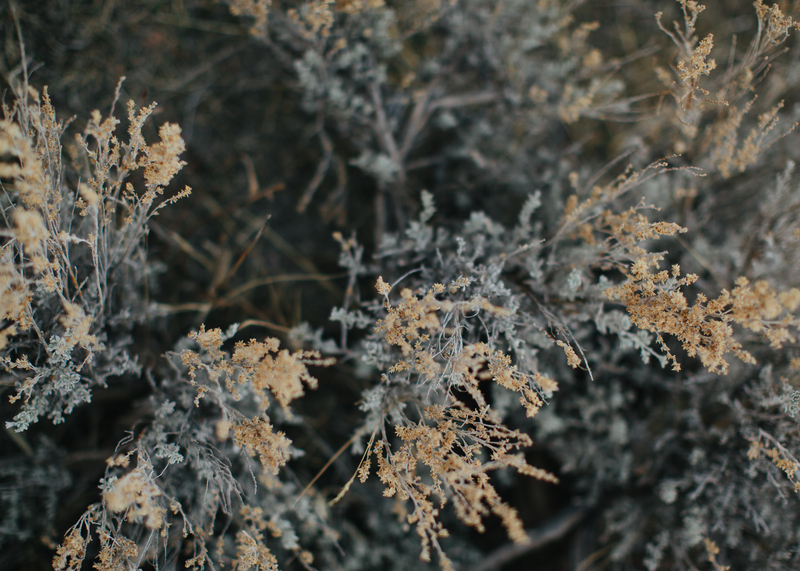 Juniper and sage brush gave me comfort when I first moved to Wyoming from Minnesota. Abigail had just gotten married, and I was in my first year of marriage. Sage was a theme color for her wedding, and the tables at my reception were decorated with candles nestled inside juniper wreaths. 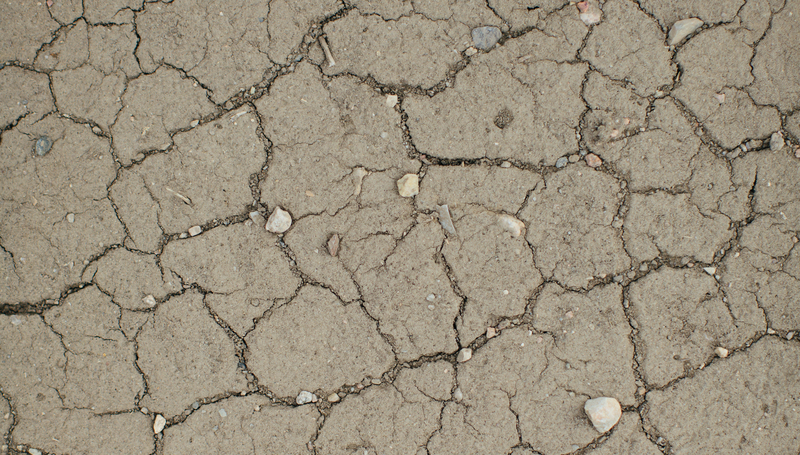 We moved here in July and the landscape was brown and barren. For this Minnesota girl accustomed to life to the greenest, it was a little depressing. 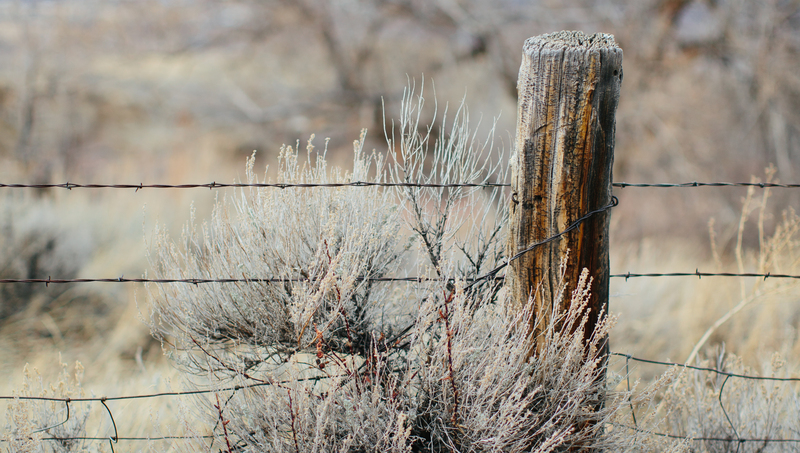 But the land was dotted with green juniper and sage brush reminding me of life and friendship. The dramatic change in scenery, from deep woods to open high prairie, startled me. I didn’t know if I loved it or if it made me uncomfortable to be so exposed. As Minnesotans, weather is a normal topic of conversation. It really bothers my Mom that I don’t know what the weather is going to do three days out. But what I learned when I first moved here is that you can see a storm coming for miles, and even if the weather man predicts rain, it might blow around you. Or the 3-6 inches of snow might all end up on the mountain to the south. The weather is very unpredictable here and impossible to tame. But the open sky above is so grand and wondrous that now I miss it when I visit my thickly wooded hometown. 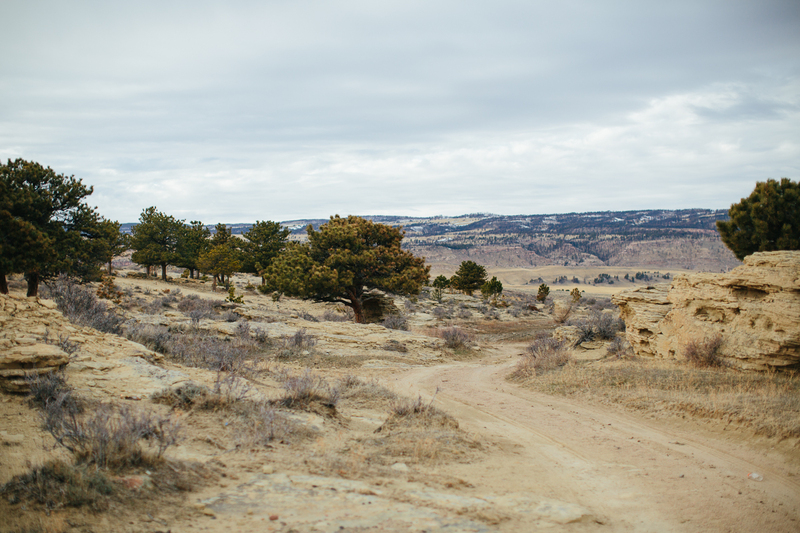 Wyoming was once a favorite hideout of outlaws on the run, and today it is home to true cattle wranglers. I love old westerns so I wanted to design something that gave a modern nod to the iconic cowboy bandana. In my small hometown, no one looks twice at a tractor causing a traffic jam on the country road. It’s normal. Here, no one looks twice at a man in full cowboy get-up strolling in to the local cafe for a cup of coffee. My mom and step-dad visited us our first spring in Wyoming. I was 5 months pregnant with my first baby, and my husband and I had just moved into our new home (after house hopping with gracious hosts for 7 months while it was being built). My mom has a master green thumb. She can make anything grow. We moved some sod around on our new lawn and noticed these soft red grasses growing. We were curious about what they were, so we planted them in a corner. 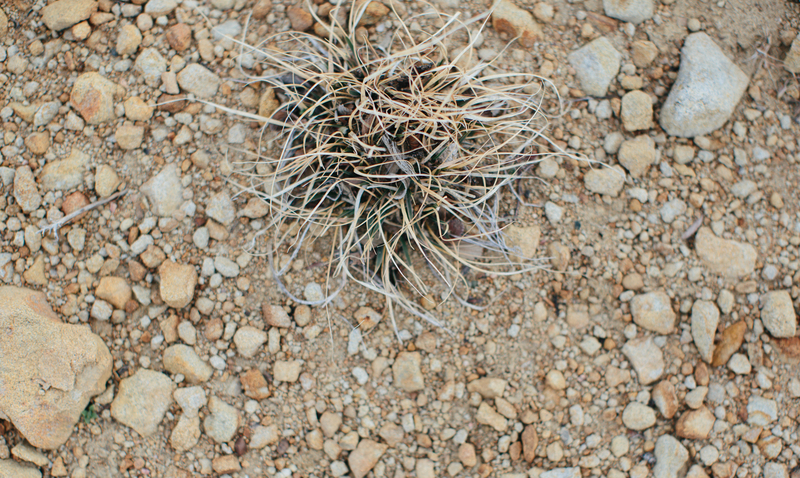 They very quickly showed their true color as tumbleweed. This Minnesota girl (who truly loves green, growing things) says springtime in Wyoming trumps Minnesota in all seasons. I believe it is a best-kept secret how beautiful the West becomes during springtime. And I don’t think it’s only because there’s such a contrast between the brown and barren that reigns 10 months out of each year. The green is rich. Wildflowers sprinkle everything with color. Please plan your roadtrip out West the day school lets out. You won’t regret it! Remember the cowboys in their full get-up? My favorite coffee shop is the only place in town that gives me the feeling I could be in Minneapolis if I pretended. It’s a little punk, a little industrial, a little artsy. But the combination of people who show up to get their caffeine represent the culture of Casper. Businessmen in suits. College students studying (or not). Young kids tagging along on a coffee date with their moms. Cowboys: boots, hat, belt buckle and all. It was a little strange the first time I walked in to get coffee. I thought there would be a brawl. But true to the independent spirit of the West, everyone minded their own business and went on their way without noticing the contrast of the crowd. I always wanted to be a cowgirl. My dad taught me how to ride when I was very young. He even bought a mare who was about to give birth to a foal. My little brother and I were able to watch it be born. We named her June. Our dad taught her how to bear riders by putting us on her back. We were the perfect size for her first riders. I designed these slippers in honor of my childhood. We hope you enjoy crocheting through our collection.